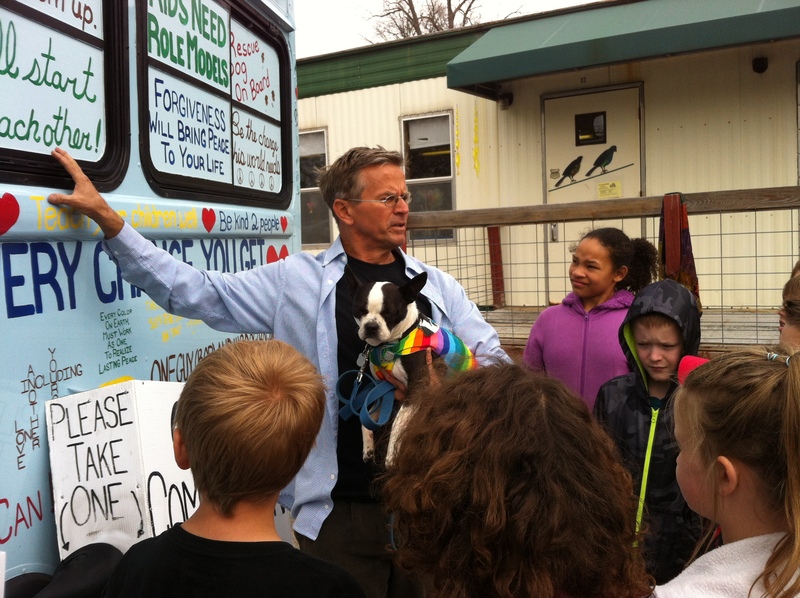 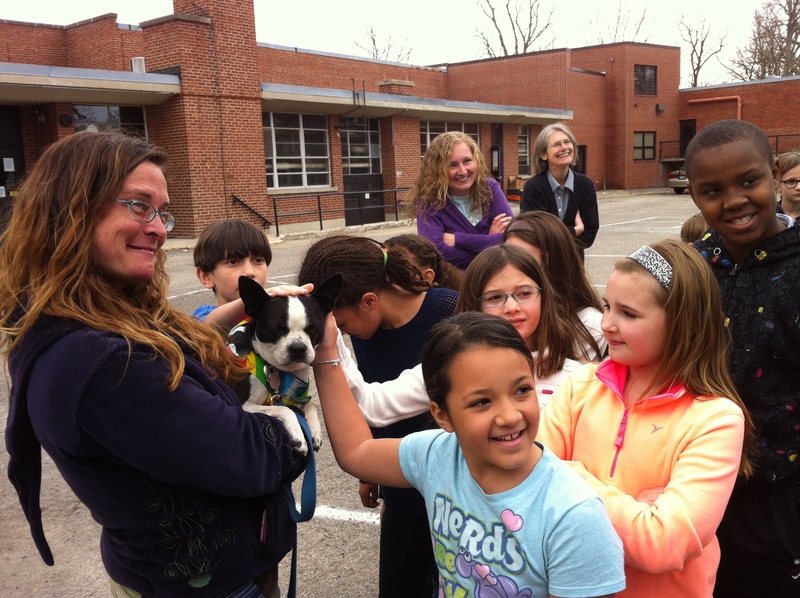 The “Kindness Bus” came to Yellow Springs last week, and Mills Lawn students as well as students at the middle and high school had the opportunity to get a personal tour with Bob Votruba and Bogart the dog! 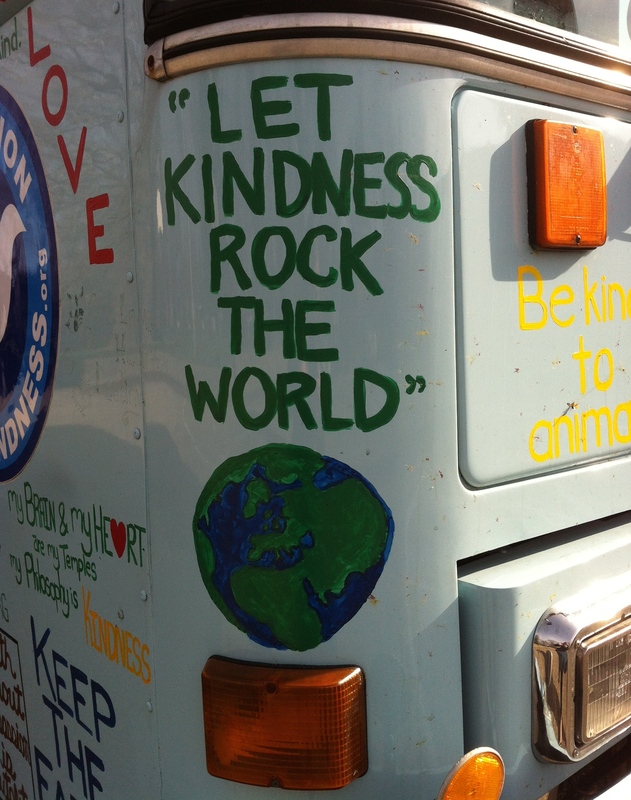 Bob explained that he sold his house and got rid of nearly all his possessions and now travels around on his bus talking to people about peace because he believes in the importance of spreading kindness around the world. 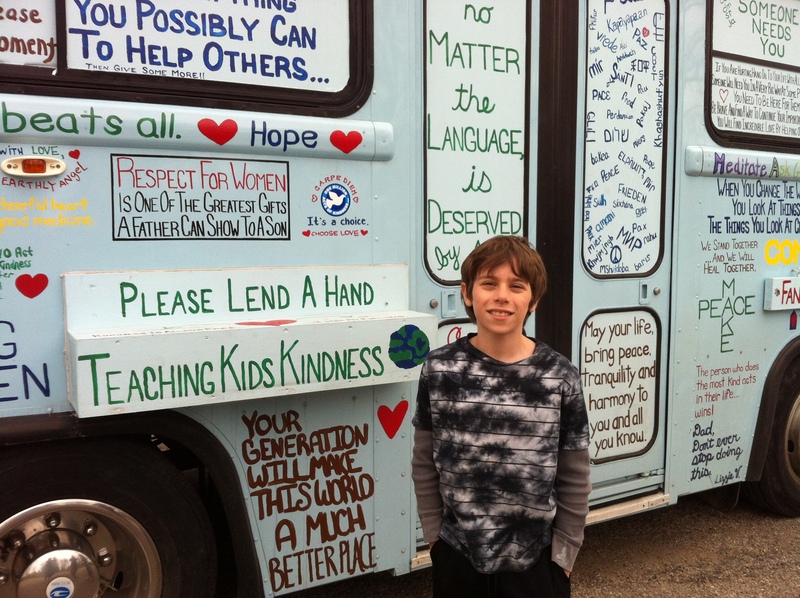 His goal is to encourage others to perform acts of kindness as he spreads the message of his “one million acts of kindness” campaign. 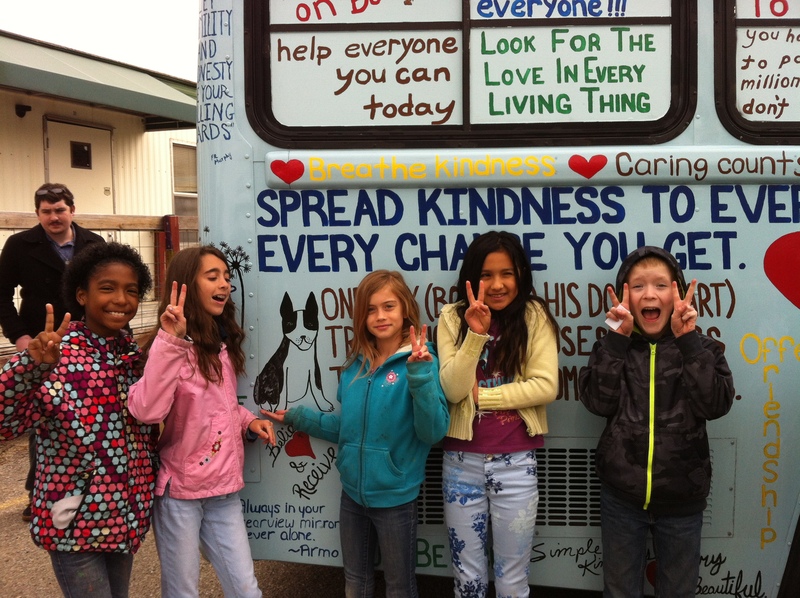 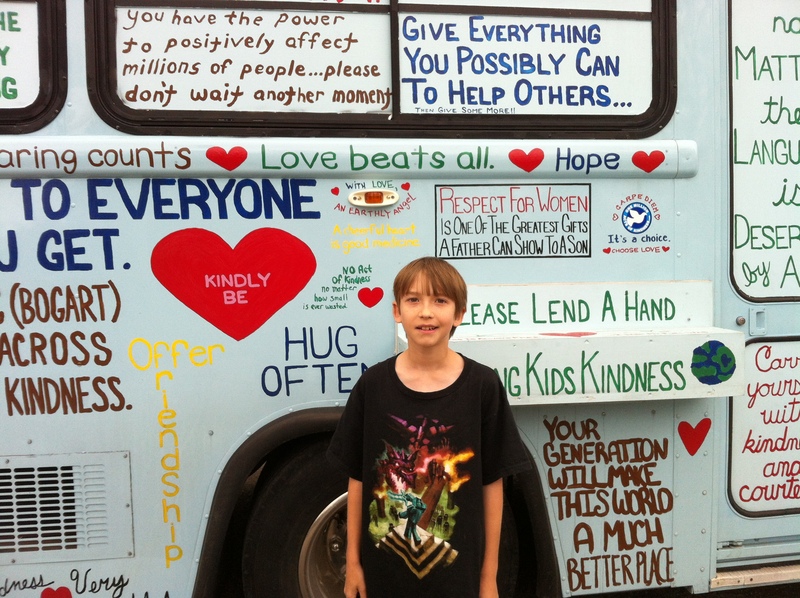 His beautiful bus is painted with messages of peace and loving kindness. 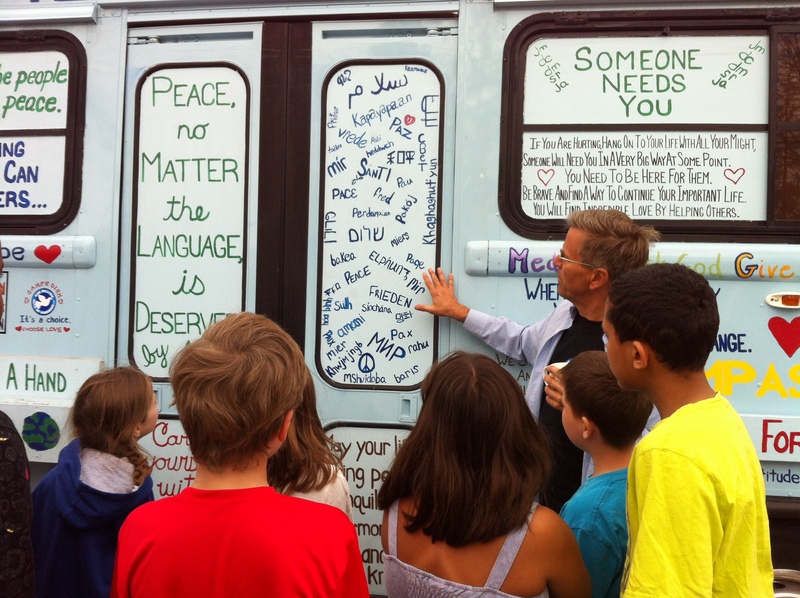 Some of the messages honor the experiences of students and individuals struggling to be peacemakers and upstanders in their community, and all the messages encourage love and kindness as a tool for healthier, happier, more peaceful world. 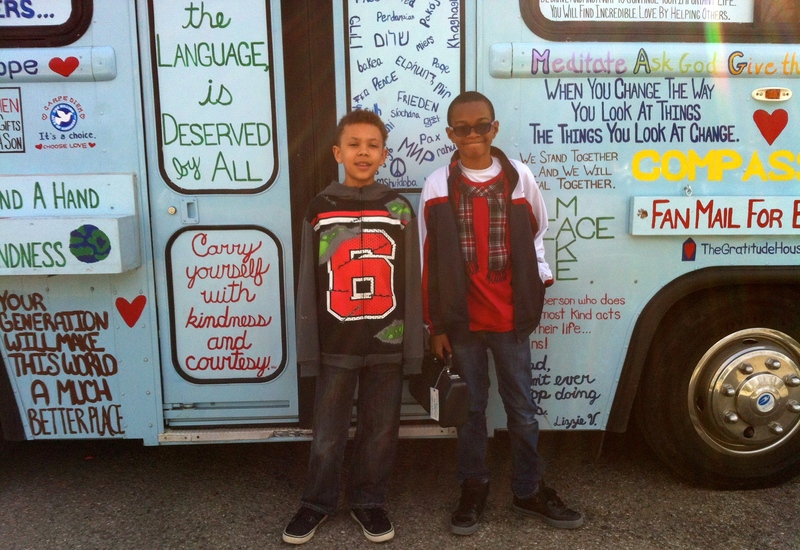 Thank you again to Bob and Bogart for coming to Mills Lawn Elementary in the Kindness Bus!